Swamp is a word commonly used to describe the Everglades, but that is not an accurate description. The Everglades is actually a river. It’s a very shallow, slow-moving river that in some places is just inches deep and 50 miles wide. Sometimes called The River of Grass, it forms as water from Lake Okeechobee, which historically overflows the lake’s banks, moves onto the southern Florida plains. The waters then make their way to the Gulf of Mexico at the amazingly slow rate of 2,000 feet per day, or about one mile per 2 ½ days, depending on water depth. And how slow is that, in comparison to other rivers? Well, at its headwaters in Minnesota, the Mighty Mississippi moves along at about 1.2 Miles Per Hour, which translates to about 152,000 feet per day. When the Mississippi gets to New Orleans, it’s moving about 3 MPH, which comes out to 380,000 feet per day. 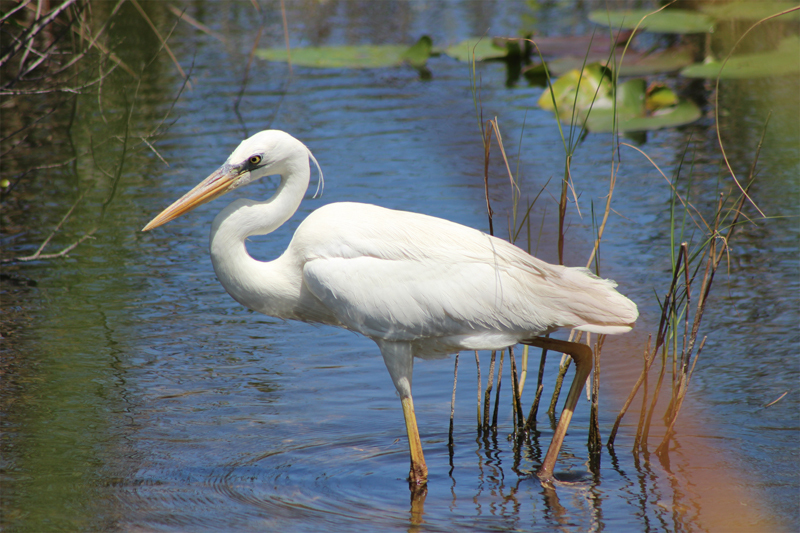 The Everglades River is lazy, and its pace creates an ecosystem that’s friendly to about 150 species of trees, 40 species of mammals, hundreds of types of colorful birds, and an array of reptiles and amphibians, including crocodiles and alligators. It’s a unique habitat that you won’t see anywhere else on Earth. 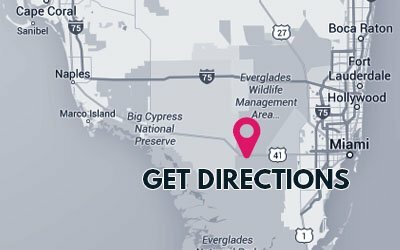 Everglades National Park is a big place, covering approximately 2,357 square miles, which makes the park bigger than Rhode Island and Delaware. It is the third largest park in the lower 48 states, surpassed by only Death Valley and Yellowstone. Everglades National Park has been designated as an International Biosphere Reserve and a Wetlands of International Significance by the United Nations. So it is not only crucial to the local region and state, but recognized on an international scale.